Our experience in the design and manufacture of toys and industrial part covers a period of more than 30 years with numerous projects both domestic and international markets. From our technical office we work in the design, development and manufacture of molds, as well as setting and maintaining them. 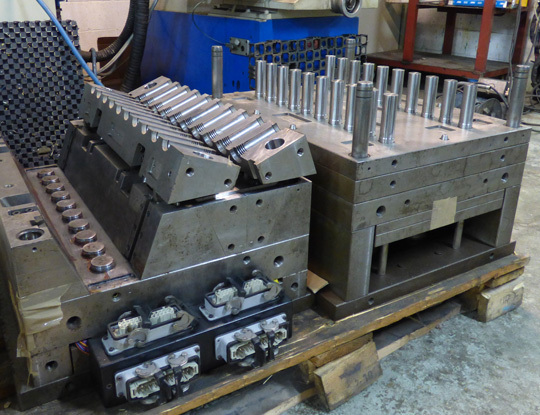 We have a wide range available for sale: from molds for the manufacture of toys, to other industrial parts. Check our "Mould Sale" section and contact us. GDJ Industrial Plastic is a company located in Asturias specialised in the design and manufacture of plastic industrial components. We have more than 30 years of experience in the Spanish and international market. Located in Villamayor (Asturias), we have two industrial warehouses of 5,000 and 2,000 m2 for the manufacture and storage of our products. We have a technical office, a die-stamping workshop, state-of-the-art plastic injection moulding machines, injection machines and blow moulding and extrusion machines.